A passion for water - since 1901. 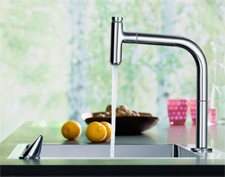 Our love of innovation and perfection in bathrooms and kitchens, and our responsibility to the environment and society. 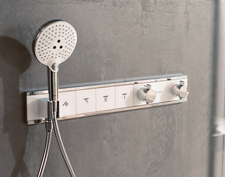 Want to create pamper and comfort zones in your home that all your senses can enjoy? 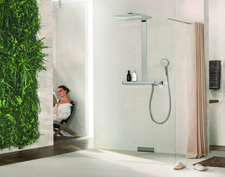 hansgrohe can help you transform your bathroom or kitchen into a feel-good spa. For an exhilarating start to the day, and a relaxing end to it. Also to make your kitchen chores easier for you. Because we are in love with water. Because we enjoy pampering people like you all around the world with a broad range of beautiful products. And because we strive to constantly become that little bit better.